According to the BBC news website, there has been a jump in antidepressant medication. You can click on that to get the link. As a therapist there is obviously the need to suggest that medication can and does have a place in the treatment of depression. There are also some conditions where medication is absolutely essential and that also goes without saying. But also as a mental health professional I am bound to suggest that medication can also prevent you from finding your own inner tools for recovery – depending on the severity of the condition. When we become reliant on medication rather than looking at ways in which we can help ourselves we may stay on medication for years and really not feel all that much better. Putting our faith in our recovery in someone or something other than ourselves may not give you the results you truly desire. 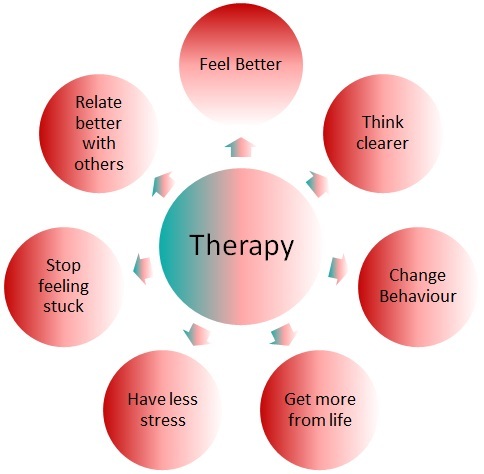 Therapy aims to process and witness with you to help you find the tools for you to help you recover. A good therapist may reflect back to you how they hear what you are saying – give you that safe space to reflect on ways in which you may or may not be helping yourself. Sometimes you might find it difficult in therapy; sometimes it is not the right therapist for you. Either way it will have given you some food for thought. Therapy can often be a helpful mirror for you to process your feelings and thoughts. Try talking therapies. It may just be the best decision of your life.